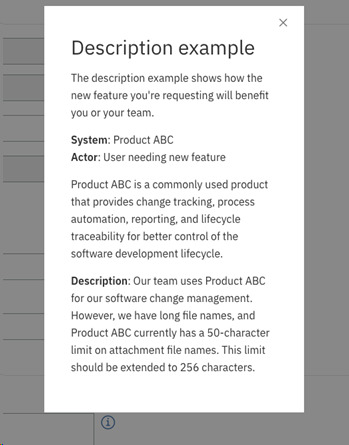 We recognize that from time to time our users may see the need for a feature that does not yet exist in MaaS360. Fortunately, our R&D team has put a process in place to give customers and partners like you a voice in how we develop the product – known as a Request for Enhancement (RFE). How can I submit an RFE? Submitting an RFE only takes a few minutes. 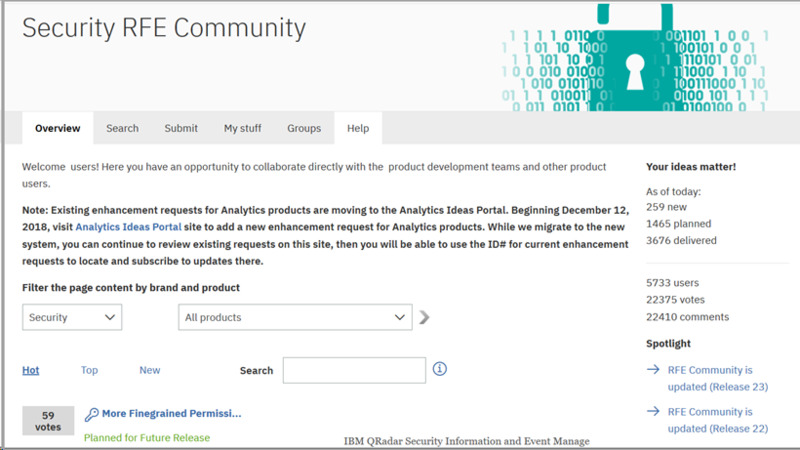 To create your RFE for MaaS360, first go to the IBM Security RFE Community. Click Submit. 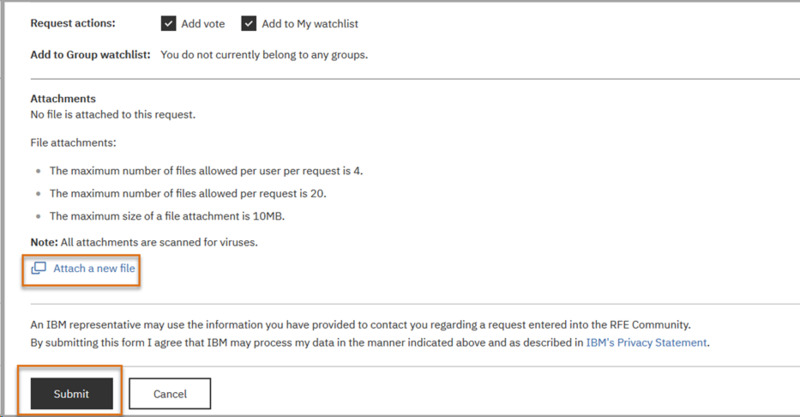 The Submit a Request pane will open once you’ve logged in using your IBMid. Check to ensure your idea has not already been submitted by clicking “view requests that have already been submitted” (as shown in the screen capture). Proceed to fill in the form with your desired information. Click the information icons next to each field to get additional context on what is required to complete the RFE. 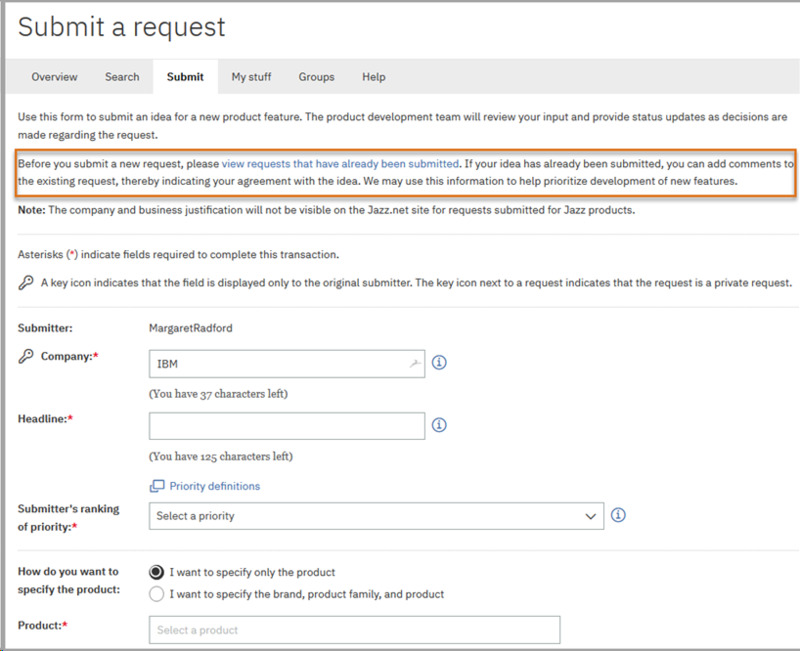 Select I want to specify only the product and type MaaS360. A list of MaaS360 features is displayed. Select the appropriate feature that fits your RFE and complete the rest of the form. After the form is complete, you can also attach files to provide more information about your request. Perhaps you might want to add screen captures to designate exactly where in the portal or in the MaaS360 app(s) you are referring to in your RFE. Click Submit to complete the RFE. You will receive an email confirmation with your request ID and steps to ensure the best possible outcome of your request. 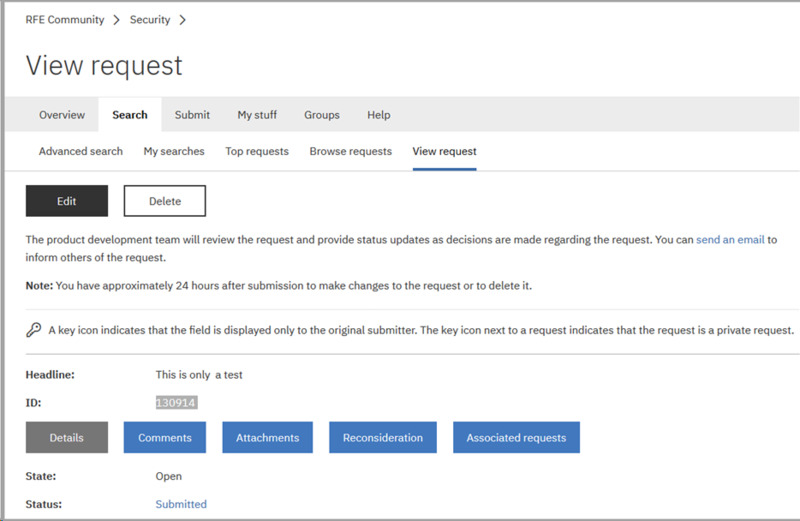 After you click submit, you are brought to the View request pane, where the request is displayed. If needed, you have 24 hours to make changes to the request or delete the request. Click My stuff, and you can use this to manage the requests you submitted. You have a My watchlist, My requests, My notifications, My RSS feeds and My entitlements that you can use to mange your RFEs. Once you’ve submitted your RFE, it will be processed by a team and you will be able to check the status of your request at any time. Watch these quick videos to better understand how this process works. All of these resources and more can be found on the RFE Community – so make sure to sign up and help us to make MaaS360 the best it can be!